Be attentive to requests from the board of directors, maintain sufficient confidence in the CEO and achieve your contractual objectives if you want to maintain your job. Use the best tactics, adapt your system to the opponent one and get around the defensive traps of the opposing coach. 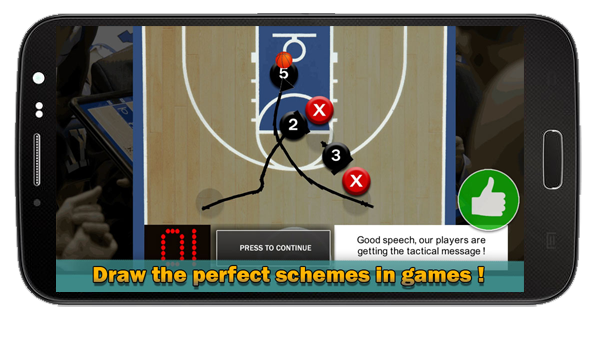 Make smart substitutes by saving the energy of your players. Give more shots to your best player. 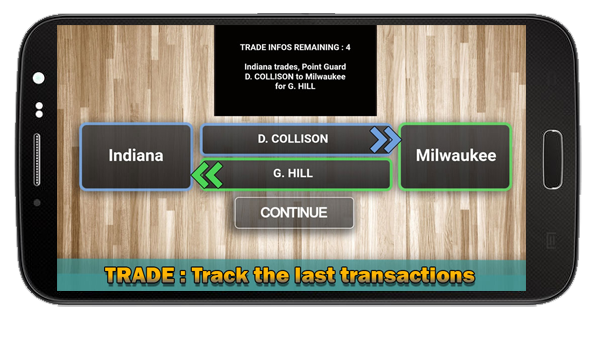 Select your first offensive option and take 3s! 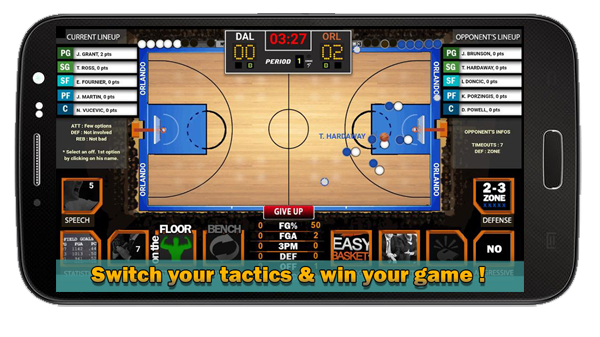 Put more pressure on the opponent by changing your defensive mentality, check your players fouls and avoid the ejection! A big 3 takes a lot of time to be effective. To succeed you will have to be patient, cutting players, trading and of course by recruiting experienced players. Ask to your GM some specific players for improving the team. Hire an expert staff specialist in offensive or defensive and sign a sleep doctor, who will bring their experience and improve the overall of your basketball team. Train your best 5 starter, and find the balance between defense and attack. 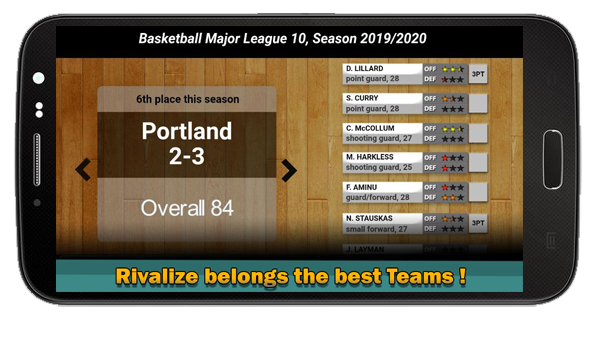 This game encourage the formation to the recruitment as in real life basketball! Impose your discipline in your team, manage delays in training ... Will you be fair enough after your players criticize you on social networks? 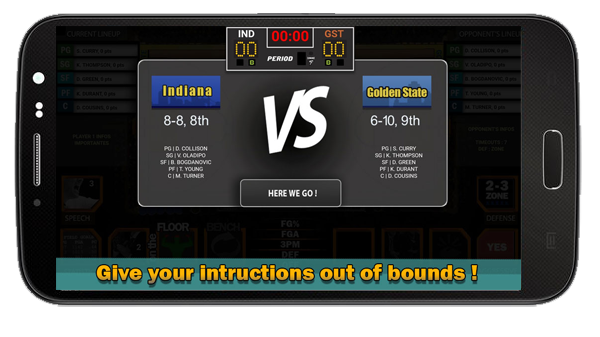 Let your unruly basketball (pro) player in costume the next game and show you are the boss !